The Robinsons did it again. The Georgia Peach National event was run flawlessly. 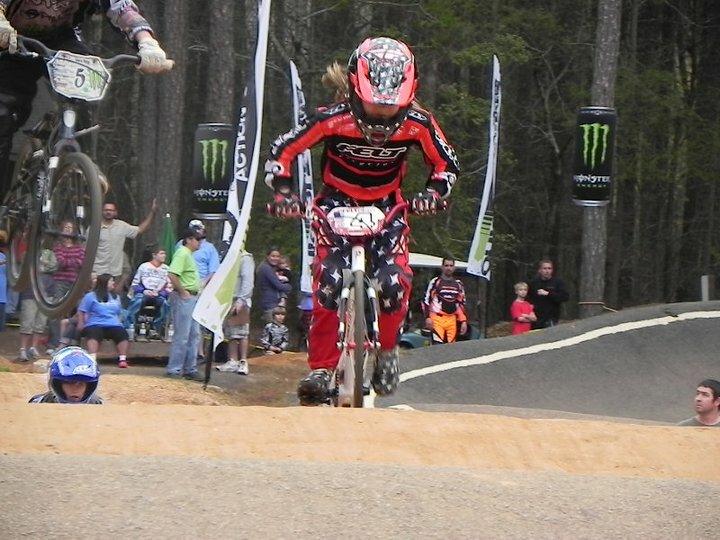 Shayne Robinson is like the "Super Nanny" of the BMX world. When she says jump, people start jumping and asking how high? in unison. Most importantly, the restrooms were not only open, but relatively clean. See? It can be done! On a disappointing note, there was one reported theft. A bike belonging to a James Bisson was stolen on Saturday. Here's the description: "Bike was a gold pk ripper xxl, black bars, polished JW stem, bombshell carbon forks, blue profile elite hubs laced to polished alienation rims, alienation seat and seatpost, dxr cranks with a rennen sprocket, and time z pedals. If someone suddenly has these parts, ask 'em where they got 'em." If anyone has any information that might lead to the recovery of James' bike, please contact Peachtree City BMX. FYI James, we're the family who accidentally closed the elevator door on you at the Wyndham. Sorry! Saturday's weather was the epitome of spring in the South. We all shed our hoodies by mid-morning to enjoy the warm sunshine. With 218 motos, there was plenty of time in between to hang out with friends and visiting family. My much loved dad, aunt, uncle and cousins came to cheer on the boys and spend the evening with us. Nearly all of the Factory Felt/SC Action Sports team was in the house, so William had a great time with his buddies, while we enjoyed the company of all the parents. expert, repeating his near-perfect day on Sunday. 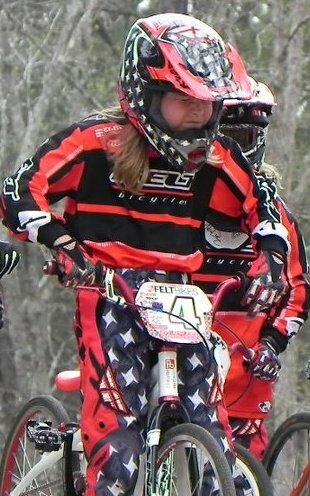 Wyatt rode hard, but was unable to transfer to mains on Saturday. I was proud he made it to quarters in 8 and under cruiser! Sunday was better though. He easily cleared motos and semis to make the 7 challenger main. He's working hard and getting faster all the time. The Factory Felt team was full of WIN. Aside from William, Gabe Hatem and Ricky Castro finished strong in 10x and 10 cruiser. Coleman Habib dominated 12x and 12 cruiser, and the rest of the team had podium finishes as well. Most of all, we had a great time being together. There were several other stand-out riders I noticed in Peachtree who I would like to give kudos to. 9x rider Dylan Shipley keeps getting faster, and kept William on fire all weekend. 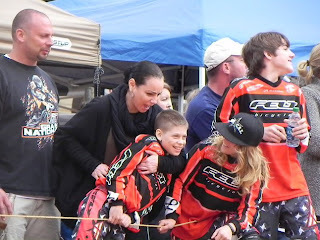 I was glad to have our good friend Keagan Bryson back at his first national since the 2009 Grands. I can guarantee it won't be long before the other 11 experts start seeing Keagan's backside. Keep it up! Our 10x buddy Grant Green showed us he can take it and give it back. Ride strong Grant! I couldn't help but notice Wyatt's Schanewolf teammate Jamie McHenry (8 challenger girl). Keep shining Jamie! That about wraps it up. 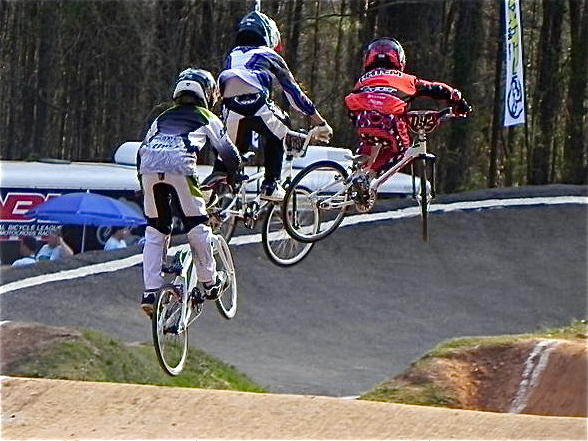 The upcoming nationals have a lot to live up to after a perfect weekend at Peachtree City BMX! We had so many great photos, I'll leave you with a few more.